The fashion and travel blog for crossdressers and their friends. I was sitting on a beach on the Oregon coast recently with Bernard. I do so love to travel off to distant shores and enjoy the landscape. We’d cycled from our nearby hideaway, a small beach house owned by one of my wife’s relatives. As you may know my wife is travelling at present. I am not sure if she’s feeding the hungry in Africa this month, or feeding the African’s in Hungary. In either case I know she’s doing something for people to improve their lives. I share much of her altruistic fervor. In my case I am doing what I can to help the struggling wine industry. With this in mind we packed a baguette, some truly delightful Quebec cheese (http://fromagesduquebec.qc.ca/en/cheeses) and a selection of three wonderful wines. We packed these carefully in our backpacks and cycled down to the sand dunes on a perfect fall day and sat on a blanket to sample the offerings. None of these wines are expensive, and all are reasonably available throughout Europe and North America. I will do some research on Australian, Chilean and South African wines in an upcoming article. Now, I know what you’re thinking. What on earth has this to do with crossdressing? Actually, quite a lot. I love to cycle, and whenever I do I wear my capris and a plain pastel top. I also carry a gently colored wrap, usually something I have picked up in Africa or India. It has been said that my dear wife often travels with something that she picked up in Africa or India as well, which is a strange coincidence as I have never seen her with a wrap like mine. Anyway, to the main point of this post. I’m going to review three wonderful rosé wines for you. The first is my personal favorite – Juliet Rosé from Provence. It seems only fair to tell you that the last time I had this particular wine I was in a public park known for its substance abuse users, with (ironically enough) one of my Little Black Book members, whiling away a quiet afternoon illegally getting smashed in a public space. It was far too perfect a wine for this, however, the afternoon was one that remains in my memory as a perfect day. My members! I can describe the dry and gentle notes of this wine for you, almost raspberry in it’s flavor, it’s a wine that exemplifies all that is best about rosé. Not excessively sweet, the gentle blush of color suggests a subtlety that is booted clean out of the public park by the crisp notes and precise flavor. Like so many wines of Provence this particular rosé has the distinctive refined textures of a mature vineyard. So many new world wines are still finding their way, hesitating here or there and in many cases finding great results, but from the vineyards of Provence come wines that draw from many years of success and experimentation. What emerges onto the market are wines that are both refreshing and speak of the expertise of years of refinement. It’s hard to go wrong with a wine like Juliet. It’s available throughout the world, though local stocks come and go. I should add that if you’re on a beach in Oregon, in Mexico, or even Zanzibar, this is a wine that is going to make your fish dish come to life. Personally, when tasting wines to write about I generally like to do so with a mild cheese, if you’re looking for something to pair with a fish dish any of the wines I describe today are going to be spectacular. In fact, as you read this, you might like to think of what clothes you’d wear while enjoying a simple and healthy meal with any of these delightful wines. My second wine today is a Canadian wine from the Okanagan, called Narrative. ( https://okanagancrushpad.com/products/narrative-rose-17/ ) It was a 2017 vintage, and as is typical with these wines, they’re not really improved with age. Buy ‘em, drink ‘em! It’s what wine’s for. Now, by the time we got into this bottle Bernard, who had a little heart problem (it’s not a good idea to be tazered, or shot in the chest with a carrot – but that is another story), was looking just a little peaky. I opened the bottle anyway and we soldiered on with our exploration of these offerings. Trying not to end up with more sand in the baguette than on the beach, we enjoyed the still warm bread and cheese, and poured this playful wine into the extravagant crystal glasses I often travel with for this very purpose. Bernard did this weird thing with his cell phone where he uses a cup to magnify the sound, so while bathed in west coast sunshine we were also enjoying the sounds of Allison Moyet and Johnny Clegg. Yes, a rather eclectic selection I agree, but it was working very well with the Narrative, and being alone on a secluded beach. Narrative is a wine that fairly dances on the tongue. It’s warm ruby dryness gives a distinctive youthfulness to this choice. It feels as though you’re drinking a young and exciting wine, and one that longs to take you out to a party and get you into trouble. Much like some of the people I’ve shared it with. Pleasantly dry, slightly blackcurrant with a touch of tartness that reminds you that we’re drinking a wine that’s about fun, messing around and possibly regretting it in the morning. Oh, but wait a moment! It’s organic. That’s very important, apart from anything else because you’re not going to get a stinking hangover if you sink a couple of bottles while lounging about in your favorite lingerie with two or three friends. Organic wines contain few additives, which are often part of the hangover equation. I have to say that the freshly baked bread and subtle cheeses really added to the experience of this wine. Like so many things to do with crossdressing, how we combine elements often dictates how we experience the activity. In this case the wine, the music, the simple food and the fresh sea air combined to make an ideal afternoon of enjoying ourselves. Finally let’s move onto our final wine. 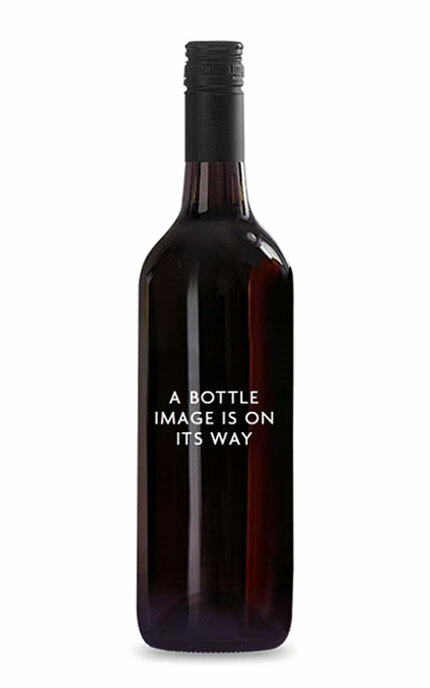 This is another Canadian wine called Quill ( https://www.bluegrouse.ca/product/2017-Quill-Rose ) . Also, a 2017, the young wines being by far the most fun in this group. Similar in structure to Narrative, this wine is all about fun and combination. In this case the combination was Bernard and a bicycle. For some reason, by this stage Bernard was beginning to experience some difficulty with his co-ordination. As we laughed about how difficult cycling was with this level of alcohol, I blushed a similar shade as the wine as I thought about the interesting interaction this amount of alcohol may be having with some of the medications that Bernard has been taking recently. The fall sun was sinking, and we began to make our way back to where we were staying. We’d stop now and then along the empty road and sample a little more of the wine. I wouldn’t describe this as the most responsible method of wine tasting, however on the deserted road it didn’t seem to make much difference, sober or otherwise. Frankly the only obstacle to hit with a bicycle was a sand dune, which didn’t seem to represent a serious hazard. It wasn’t long after getting into the Quill that we learned that we were most definitely lost. Seeing a gate and path leading off the road we decided to follow it to ask which way we should be going. Now, feel free to correct me if I am wrong here, but when you come across a trailer in the middle of nowhere, with a man sitting outside it cradling a rifle, in the shade of a confederate flag, it tends not to bode well for the average crossdresser. As we pulled up and I waved playfully, I got the sense I was not talking to the most liberal of locals. “We’re looking for the road back to town,” I said. Our new friend was stroking his weapon by now, and I don’t mean that in the fun way. It is said that ‘A stranger is just a friend you haven’t met yet.’ Who ever the idiot that said this was, they’d obviously never seen the movie ‘Deliverance’. “We were just planning on swinging back toward town,” said Bernard trying to be casual, but sounding nervous. I tried to understand if this was an observation or a threat. Neither filled me with much confidence. On the spur of the moment I pulled the Quill from my bag and offered it to our toothless new buddy. He strolled over, putting down his gun, and developed a grubby tea cup from beside his chair. He spilled the tea out and I poured a generous measure of the pinot gris. I filled my wine glass and topped up Bernard. Our friend drained his cup and held it out again. “It’s Canadian,” I said happily. Our friend farted loudly in appreciation. “Bunch of queers,” observed our host, swallowing the wine in one gulp. Clearly a connoisseur. “Errr… Yes. I heard that,” I said refilling his cup. Eventually we got directions home, and about two hours later covered the twenty minute journey after discussing how Canada was full of queers, Washington was full of queers, and that there was no such thing as climate change, but if it did exist it was probably because of all the queers. One way or another it was a thoroughly educational afternoon. I have a feeling the Quill saved the day! Shut Up And Eat Your Squid. Crossdressing – When it’s not about clothes anymore. My Mother In The Mirror. Join My Patrion And Unlock Amazing Content! Darla Stockings on Think before you buy.